The majority of the house was originally built in DuPont Circle in Washington, DC by liquor baron Edson Bradley in 1907, taking 4 years to complete. The house occupied an entire city block and was known as Aladdin’s Palace, due to its sheer size and grandiose nature. The Bradleys then decided to move to a Newport, Rhode Island in February of 1923. They had the house dismantled and shipped to the new location over the next two years, accomplishing what is believed to be one of the largest homes to be relocated by road and rail. This remarkable feat was featured in “Ripley’s Believe it or Not”. 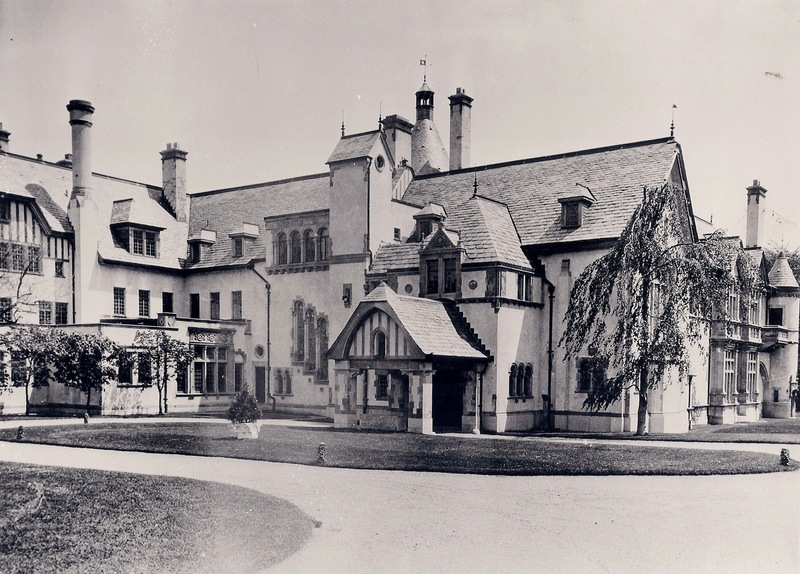 Howard Greenly, the architect of Seaview Terrace, won several awards for his work on the French Gothic chateau in 1928, including the ‘Second Mention for General Work’ by the Architectural League of New York and the President’s medal from the American League of Architects. Greenly incorporated the pre-existing Elizabethan-Revival mansion into the house, which had been owned by James Kernochan and known as Seaview. The earlier Seaview is still visible, encased in the East Wing of the house and was renamed Seaview Terrace. The roofline of the turrets and conical domes were derived from Chambord, a famous French Renaissance chateau in the Loire Valley, and impart a picturesque unity to the whole. A housewarming was held in the summer of 1925, as Greenly continued to move rooms fully intact from France, as well as contents of the DuPont Circle house for installation at the seaside locale. 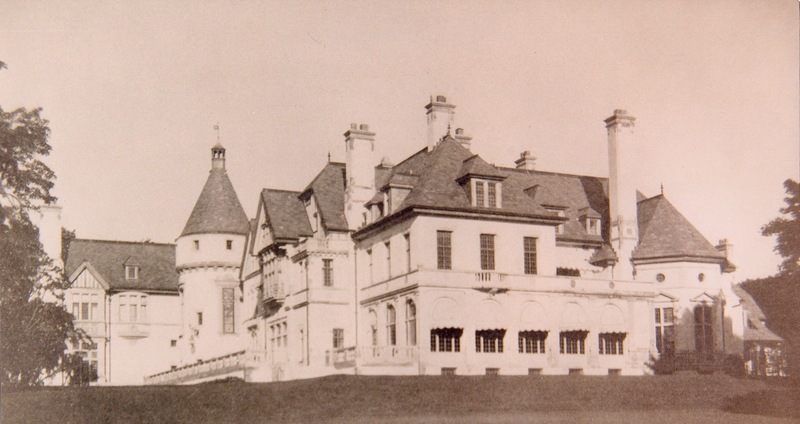 At the end of that year, the 63-room manor was completed at a cost of two million dollars. It featured a chapel, whispering gallery, an Esty organ and Dutch sixteenth-century stained glass, ornamented with Renaissance armoral design. Included in the stained glass collection is the ‘Flagellation’ circa 1545, which is documented in the national archives. Original furnishings included bearskin rugs, hunting trophies, Renaissance cassones, wrought iron torcheres, Chippendale chairs, arms and armor and exotic hanging lamps. In 1949 Edward J. Dunn bought the property for $8000, transferring title to Mrs. George Waldo Emerson Sr., who in turn leased it to Lloyd H. Hatch, making it headquarters for The Hatch School during the fall and spring semesters from 1951-1961. 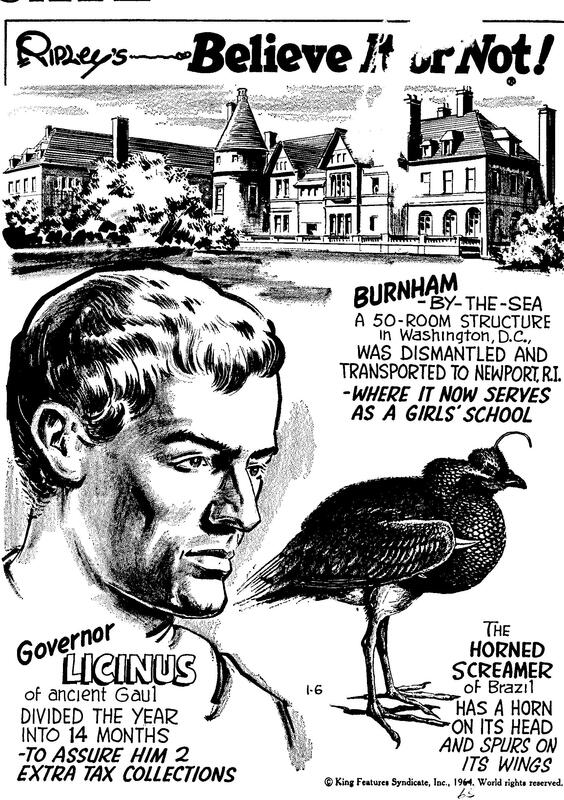 During the summers, Mrs. Emerson Sr. operated Burnham-by-the-Sea, a private all-girls boarding school which ran in association with the Mary Burnham School for Girls in Northampton, MA. After the Hatch school vacated the property it was then rented to The Newport School for Girls who enjoyed their summers there until the early 1970’s. During 1966-1971, Seaview Terrace’s turreted profile became the icon for the cult classic TV show ‘Dark Shadows’, which continues to draw thousands of loyal fans annually. The 1980’s in Newport belonged to the America’s Cup. Led by Ca. Dennis Connor, the American syndicate resided at Seaview Terrace during their reign. 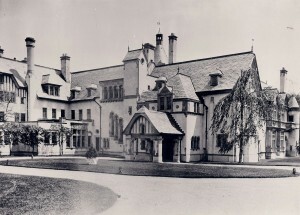 The remainder of the year the house was leased to Salve Regina University as a musical conservatory, educational facility and student residence until 2009.